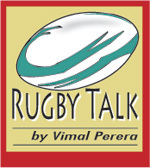 Three Ring Rascals – The Petit Bourgeois of SL Rugby View(s):The testimonial match for Chandrishan Perera (Shan) had two things in focus. We also teamed to introduce Beach Rugby, where Shan also trumpeted the message of keeping the beach clean, as he called himself a ‘Welle Kolla‘ (Beach Boy). The introduction of Beach Rugby in Negombo saw, Dilroy, Chang, Roshan Dean, Asela de Silva, Sanjeewa Saranapala, Lasantha Jayawardena and the writer take the whistle barefooted, while the sand beneath burned our soles. The series of Three Ring Rascals introduces a cast of talking animals in the friendliest and funniest family circus in the world. The relevance of the series of the Three Rascals… to Rugby is, when you hear the whistle that often blows tunes that are flat. PM warns Minister Ravi: No more power cuts By Sandun Jayawardena View(s): View(s):Prime Minister Ranil Wickremesinghe warned Power and Energy Minister Ravi Karunanayake that his Ministry and Ceylon Electricity Board officials will be held personally responsible if there were more power outages. His strong warning letter came as threats of renewed power cuts loomed large due to supply generated falling far short of expectations. A further 71MW has already been bought from two Independent Power Producers (IPPs) – Asia Power in Sapugaskanda and ACE Power in Matara. Power and Energy Ministry Director Sulakshana Jayawardena told the Sunday Times agreements had been signed for the supply of 66MW out of the 100MW for this emergency power purchase. “We are not talking about four hour power cuts like what happened earlier, but there is certainly a possibility of power cuts lasting a lesser duration,” he added. Talent ID – Carlos Grafia of Spain Showtime in Monte Carlo View(s): View(s):With the ATP Masters event in Monte Carlo now on in the French Riviera, the European Tennis season has begun. There is a lesson to all would be Tennis players and national Tennis development systems in this. Most of the good players won their early matches with limited shots and with unlimited tactical ability. All admit that, more than the benefit of taxes, Monte Carlo, weather-wise and lifestyle-wise, is a comfortable place to train and to be in. If a player is within the cutoff mark of Monte Carlo event in the ranking, it is compulsory for him to participate in the event. 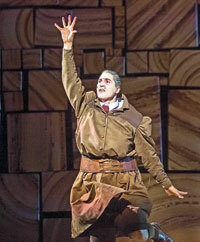 From the entire musical what is your favourite scene from the play? RV – I think our preferences keep changing but right from the start, ‘Bruce’ has been my favourite song and scene from the musical, just the whole scene. How has it been to play Ms. Honey to Matilda? BD – I love the relationship between Ms. Honey and Matilda. If you watch the production, you understand that at the end you figure out something about Ms. Honey that you don’t realize at the beginning. Believe it or not: We need inflation! Believe it or not: We need inflation! It is the case of “negative” interest rates! When the interest rate falls money becomes cheaper; then we are tempted to borrow more and save less. Breaking the impasseZero and negative interest rate policies discourage savings, and encourage spending and investment. By the way, we should not forget the US interest rate policy episode during the same period of time. Tropicoir Lanka promotes grow more coconut concept countrywide View(s):By Bandula SirimannaIt is time for Sri Lanka’s coconut industry to grow more coconut trees at home gardens in rural areas having been overshadowed by ageing trees threatening to curtail annual production in coming years, several local, value added coconut exporters told the Business Times. Coconut production in the country is sluggish at present as a result of poor management of coconut lands and most of the plantations are overage and low yielding, they claimed. 70 per cent of coconut production is consumed domestically with around 800 million nuts available for the export market. Coconut exporters said that the country has a high potential in the production of the cash crop if cultivators are prepared to grow more coconut trees. With the aim of contributing their share to meet the growing demand for value added coconut products, Tropicoir Lanka Group along with its subsidiaries Tropicoir Lanka (Pvt) Ltd and Euro substrates (Pvt) Ltd is implementing a 100,000 coconut tree planting programme countrywide. A place to hang out with a plateful of delicious roti By Amali de Silva Wijeyeratne View(s): View(s):The Roti Cafe by the Travelling KOMBI was a result of the owners’ love of roti. They trialled their idea for six months by participating in many food festivals and opened their first cafe in July 2018. Anyone who walks into the Roti Cafe is free to ask her for recommendations on what to order or what rotis to pair with certain fillings; they have paratas, naan, godamba and tortillas. Cooking has always been a great love and she has experimented with different flavour combinations and food for family and friends. The Hot Butter Mushroom Roti (Rs.340) is a family favourite and has become a bestseller along with the Sweet Chili Chicken (Rs.390). By launching an attack during this week, it was an unmistakable signal that impunity prevails. The attack was during the ‘punya kalaya’ or the period strictly marked for religious activities prior to the dawning of the New Year. Grave failings of the policeThe Palm Sunday attack had been preceded by threats and abuse leveled against the victims, most forcefully two weeks before. But there is absolutely no doubt that stoning a prayer centre would fall within the classical definition of the terms ‘incitement to violence’ in the ICCPR Act. Though some persons were arrested in regard to earlier attacks on the Methodist prayer centre, the named provincial councillor and his goons are not among them. US wildlife crime detectives here to train Lankan rangers View(s):A group of handpicked personnel from the Department of Wildlife Conservation (DWC) will get extensive training in handling wildlife crime scenes and evidence recovery by a team of crime scene investigators from the United States of America next week. The training team is from Serendipity Wildlife Foundation’s special ‘CSIwildlife’ unit in Orange County, California, that comprises present and retired law enforcement instructors who specialise in crime scene investigations. Unlike most training sessions, next week’s programme will comprise practical training outdoors during daytime, as well as night exercises. Serendipity Wildlife Foundation’s CEO and CSIwildlife Team Leader Ravi Perera said they are happy to train Sri Lankan personnel who are in the frontlines of the war on wildlife crime. Serendipity Wildlife Foundation is a non-profit organisation based in the US and although requests from organisations in other countries have come in, it currently focuses on Kenya and Sri Lanka. Explaining that there are four dengue virus strains or serotypes (DENV1, DENV2, DENV3 and DENV4), he cites the example of Patient A coming down with DENV1. This second attack of dengue is very likely to manifest in Patient A as Dengue Haemorrhagic Fever (DHF), warns Dr. Fernando. So superimposing the trend of the virus, Dr. Fernando explains that now people have gained lifelong immunity to DENV2. The study conducted at the end of 2017 and early 2018, looked at household contacts of dengue patients. Being aware of the biting times of the dengue mosquito – 6 to 9 in the morning and 3 to 7 in the evening. Back to protests after the Avurudu holidays View(s):As street protests subsided over the past 10 days owing to the Sinhala and Tamil New Year season, Sri Lanka’s business community braced this week for a return to the now, routine but extremely uncomfortable street demonstrations by university undergraduates and other protestors in the city of Colombo. While one business chamber issued a statement this week raising alarm bells over the increasing street protests that have a huge impact on the economy, another chamber said protestors should also recognise the rights of freedom for other road users. Most of those whom the Business Times spoke to for comments on this issue, agreed that a special area like London’s Hyde Park Corner should be designated for public protests so that it doesn’t inconvenience people. CCC’s Wijayatilake noted that there is a huge economic impact when vehicles are stranded and people can’t get to their meetings or do other work on time. “If this continues and movement in Colombo becomes unpredictable it could become a factor in foreign investment and tourism,” she said. I tried to talk my way out of the situation, and somehow managed to get inside the church where I joined the faithful gathered in prayer. Geoffrey Aloysius’ father formed the Mathurata Plantation Company in 1991. The Mathurata Plantation Company and the Serendib Company did a business of carbonic tea. The rest of the estate was under the plantation company. The agreement was under the plantation company and th eJEDB. Lankan athletes aim high as games kick-off in Doha today 23rd Asian Athletics Championships View(s): View(s):By Susil PremalalSri Lanka’s leading athletes will be exploding into action at the Khalifa International Stadium today when the 23rd Asian Senior Athletics Championships gets underway in Doha, Qatar. This international meet will provide a golden opportunity for Sri Lankan athletes to raise the bar and achieve qualification for the world event. Liyanarachchi has a personal best of 2:02.58 set in Diyagama in 2017 which is better than her gold medal effort of 2:05.23. He got a personal best of 16.79 metres in the triple jump this year at the selection trials. The 24-year-old recorded a personal best time of 1:48.10 early this year. Upali – Grit and valour personified View(s):By Aubrey KuruppuUpali Seneviratne, a fine cricketer, who played for St. Anthony’s College, Katugastota, in the mid 1950s, is not finished as yet. Beginning in Indonesia in 1994, he won Bronze for Sri Lanka in the 4×100 metre relay. He won Silver in the Steeple Chase in Bangkok in 2004, and in between, he won Silver in the 4×400 metre relay and Bronze in the shorter relay in India. Representing Sri Lanka Masters in Thailand in 2008, Seneviratne won Bronze in the Steeple Chase and Gold in the 4×100 metre relay. He has also served in the Committees of the Board of Control for Cricket in Sri Lanka, nowSri Lanka Cricket.